Fossil Fuels are the Future! The conventional wisdom, beloved of the Greens, is that fossil fuels are running out; that fossil fuel prices are going up; that as they do, renewables become more competitive; and that anyway renewables are the only alternative as we face “Peak Oil”, and fossil fuels run out. The truth is almost the exact opposite, and that has huge implications for our economy, and for geo-politics. Yesterday I heard a presentation in Brussels from a very well-informed academic, Professor Alan Riley of the City of London University, and though I thought I knew a bit about energy, his global over-view was a striking revelation. The event was an open meeting of the parliament’s Foreign Affairs Committee entitled “Energy Roadmap 2050: EU External Policies for Future Energy Security”. Fracking safety: The first thing that caught my attention was an observation on the safety of shale gas and fracking. Prof Riley pointed out that they’ve been fracking for decades in the USA, a country with perhaps the most litigious society in the world. There are queues of lawyers willing to take up perceived grievances on a no-win-no-fee basis. The fact that this hasn’t happened is the best possible evidence that there is no major risk from fracking, despite the alarmist campaigns of the Greens and the media. The US is awash with gas: As we all know by now, shale gas has created a revolution in energy in the US. Gas prices have halved. There’s been a big switch from coal to gas (resulting in a reduction of CO2 emissions, driven by market forces, not draconian regulation). The Boston Consulting Group believes that the US can look forward to a new industrial revolution based on cheap energy. As a consequence of plentiful gas, coal prices are coming down, and the EU (ironically) is importing more coal. But China has more shale gas than the USA: This could be a game-changer. Although China is currently building coal-fired capacity, they too are likely to increase gas use for electricity generation. Both the US and China are likely to become self-sufficient in gas — so gas prices should come down. Even Europe has shale gas, if only we can break out of our inertia and start exploiting it. Serious implications for Russia: Russia’s economy is hugely dependent on energy exports. But Russia’s gas extraction infrastructure is getting old. It needs (says the Prof) 90% replacement in the next fifteen years. And much of it is in hostile environments in the far north. It is very expensive to extract. There may be no market for high-priced Russian gas in the face of a global glut. This could have very serious consequences for Russia’s economy — and social stability. Not just gas. Oil too. 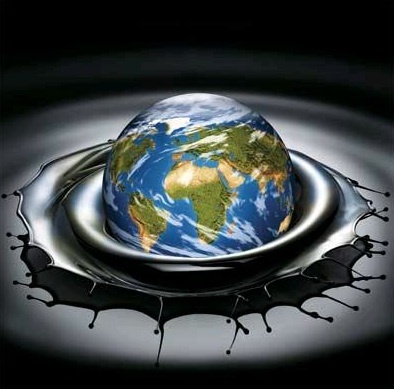 The Professor says that the USA should be “hemispherically independent” in oil very soon, with oil from continental USA, Alaska, South America, off-shore — and unconventional oil from Canada. The USA may no longer need oil from the Middle East. That has geo-political implications: Right now, the USA is happy to keep a battle group in the Middle East to protect the oil routes and the Straits of Hormuz. But if they no longer need Middle East oil, they may not provide that service for the EU. Maybe Europe will at last have to get serious about defence. Those British aircraft carriers may have a job waiting for them. Every home a gas-station: The USA is well down the road on transportation and storage of natural gas — including domestic storage. We can envisage US homes with their individual gas storage which could not only power the home but also fill up the car. We can forget the green dream of all-electric cars — it’s much more likely we’ll see significant use of gas-powered vehicles. This in turn will depress oil demand — and oil prices. This too carries geo-political and social implications for oil exporters — especially the Middle East. The EU a dumping ground for cheap coal: The Professor fears that the EU could become the world’s dumping ground for cheap coal that no one else wants. In a nod to environmental orthodoxy, he points out that this would play havoc with our emissions targets (Germany is already building 25 new or refurbished coal power plants). Less concerned about emissions, I think that cheap coal could be the saviour of European economies. None of this is good for renewables — or nuclear: The renewables industry has been pursuing the Holy Grail of “Grid Parity” (although they never cost-in the premium for conventional back-up, run intermittently and inefficiently). But with fossil fuel prices set to come down, Grid Parity retreats to infinity. This makes wind turbines even more absurd and unjustifiable. It also represents a serious threat to the nuclear industry. Europe’s choice: This scenario throws a new and stark clarity on the EU’s decision to embrace a “low-carbon future”. The policy was always going to give Europe the world’s most expensive energy. Indeed it already has. But if we carry on with renewables, we simply rule ourselves out of global competition, and out of the global economy. We mortgage our children and bankrupt our grandchildren. If Europe is to have a future (other than as a depressed third world continent) it’s time to come to terms with the fossil fuels revolution. 14 Responses to Fossil Fuels are the Future! As you know I sent some of this to several MPs and DECC but I seriously doubt if they will pay any attention to the message it clearly sends to them – that they are wasting enormous amounts of hard-earned taxpayers’ money on those useless windmills and solar panels, which have use in niche applications only, where no fossil, nuclear or hydro-powered electricity is available. Why do they ignore the message? – because stopping the nonsense means losing Greenie votes. Absolutely nothing to do with the £1000 a day which Cameron’s father-in-law is making out of wind turbines. Or the Deputy Prime Ministers wind interests. Hi Roger, yes, I overlooked those “minor” benefits for our beloved leaders. It seems to me that we should be saying one thing repeatedly and loudly: if the Greens don’t start lobbying very hard for nuclear energy, they will get the Armageddon they fear so much. Pamphlet? As long as the present government policy is based on Casting Runes and not on genuine science or economics I don’t think one can penetrate the closed minds of Clegg or Davey, Yeo, Deben, etc. They seem to have weaseled their way into positions of power on the basis of a so-called green vote, that, at a quarter of a million was practically non existent at the last election. It seems we are now run by NGO’s financed by the UN and EU with no democratic controls and an agenda based on de-industrialisation, de-populating, removing democratic accountability, and promoting UN Agenda 21. Whatever happened to principled politicians who actually believed in something other than “think tanks” and “focus groups” Like a field of corn the Con-Libs sway back and forth with not a brain cell deployed amongst the lot of them. Roger – any chance of a link to the report you cite? Sorry John — I was not citing a report. I was summarising a verbal presentation given in Brux by the good Professor. Ref. November 8, 2012 at 9:33 pm. No argument with your ” .. It seems we are now run by NGO’s financed by the UN and EU with no democratic controls and an agenda based on de-industrialisation, de-populating, removing democratic accountability, and promoting UN Agenda 21 .. “. Have a look at “Rio+20 Fiasco – but Beware Agenda 21″ (http://globalpoliticalshenanigans.blogspot.co.uk/2012/06/rio20-fiasco-but-beware-agenda-21.html). Regarding ” .. principled politicians who actually believed in something .. ” I think that the expenses scandal reveal just how “Honourable” and “Right Honourable” our MPs are. In my opinion they all new what was going on and said nothing – now why would that be I wonder??!!?? Roger talks about QUOTE: .. the EU’s decision to embrace a “low-carbon future” .. UNQUOTE but even more ludicrous is the UK’s decision to go even further and committing us to a legal obligation far more extreme than any other EU country through the Climate Change Act 2008 (http://www.legislation.gov.uk/ukpga/2008/27/contents). As I recall only three MPs voted against that nonsense which tells us all that we need to know about our elected representatives. Just before the last election my local MP (Conservative) called and asked if he could depend upon my vote. I asked him why he had voted for the Act and his response was to the effect of “I don’t know anythin gabout climate change but the scientists tell us”. Instead of following my gut reaction I decided to try to help him understand the issue better, sending him numerous articles about how useless those windmills and solar panels are. For my pains I was advised by his office that ” .. Following discussions with Mr Clappison, he feels that he is no longer able to respond to any of your correspondence .. “. Despite that astounding comment from my elected representative in Parliaent I have persisted with my attempts to help him and his fellow MPs. In my E-mail on 24th Sept. I advised him of one of Roger’s contributions ” .. FAO Mr James Clappison and anyone else who thinks that windmills are the way to generate base-load electrical energy. The presentation by UKIP’s Roger Helmer presents the facts about this issue and it’s time that our MPs from all other parties started to do the same instead of pushing the Catastrophic Anthropogenic Climate Change propaganda that is being used to justify the terrible waste of hard-earned taxpayers’ money on windmills and solar panels. I invite you to spend 15 minutes or so learning something about the subject from Helmer’s presentation (http://www.youtube.com/watch?v=sQPm528T4Fs&feature=context-gfa) and the UKIP policy document (http://www.ukip.org/media/policies/energy.pdf) .. “. I have heard nothing from my MPs office since 27th Sept. when I was told QUOTE: Dear Mr Ridley Following the completion of your SAR, I have nothing else to add to my emails of 10 and 11 September. No argument with your ” .. It seems we are now run by NGO’s financed by the UN and EU with no democratic controls and an agenda based on de-industrialisation, de-populating, removing democratic accountability, and promoting UN Agenda 21 .. “. Have a look at “Rio+20 Fiasco – but Beware Agenda 21″ (http://globalpoliticalshenanigans.blogspot.co.uk/2012/06/rio20-fiasco-but-beware-agenda-21.html). I admire his efforts and those of UKIP in fighting this Catastrophic Anthropogenic Climate Change (CACC) propaganda which is motivated by several different agenda, none having anything to do with taking over Nature’s job of controlling the different global climatic conditions. The distorted science coming out of political organisations like the Intergovernmental Pamel on Climate Change (IPCC) has undermined trust in scientists in general, however, misrepresentation of facts is not practised solely by those who support the CACC nonsense. Questionable claims are also made by CACC sceptics. The Bible gets it slightly wrong in 1 Timothy 6:10 (http://bible.cc/1_timothy/6-10.htm). It perhaps should read “The love of POWER AND money is the root of all evil”. This comment should have started with ” .. I admire Roger’s efforts .. “. It’s true. Almost all of the bigoted ostriches have their heads in the fracking sand. I’m not a peak oil believer, nor a fossil fuel believer. Low energy organic matter cannot be transformed by heat and pressure into a high energy state that hydrocarbons exhibit. The only method than can facilitate the production of hydrocarbons is from within the earth itself using materials already in a state of high energy and closer to the background radiative sources. My opinion as is the opinion of many Russians that oil abundance is no where near its peak, a controlled shortage being politically exerted for political means. Fracking – oils dirty sister will be used for political green agendas (UN Agenda21 et al) making specific environments unpleasant to inhabit or even uninhabitable. Population displacement will follow as per UN directives. Effective demonising of hydrocarbon through fracking is the intended result IMHO.